Home >> Daily Dose >> How Could Mortgage Rate Upswings Impact Housing? How Could Mortgage Rate Upswings Impact Housing? Freddie Mac has released its February Insight report, which “looks into the effects of higher mortgage rates on home buyers, homeowners wishing to refinance, mortgage lenders, home builders and real estate agents.” For this latest Insight report, Freddie Mac economists have looked at how rising mortgage interest rates could impact the housing market, as well as what ripples past increases have caused. What impact did this skyrocketing of mortgage interest rates have on the housing sector? Per the Insight report, new mortgage originations fell nearly 40 percent, from $162 billion in 1977 to $98 billion in 1981. Annual single-family home sales dropped 36 percent, from 4.5 million to 2.9 million. Finally, housing starts for single-family homes dropped by over 51 percent, from close to 1.5 million to 705,000 by 1981. So where does Freddie project mortgage interest rates to go in 2018, and what would the impact of those changes be? 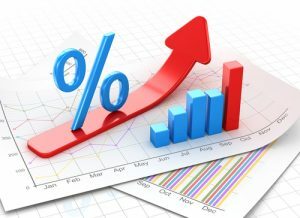 The Insight report says that if rates continue to hover between 3.5 and 4.5 percent and inflation remains low, originations, home sales, and housing starts should each increase by 5-10 percent this year. If, on the other hand, rates spike by 1.5 percentage points, Freddie forecasts originations to fall by 30 percent, with home sales and starts also dropping between 5-11 percent. Kiefer asks, “If rates rise, will housing markets follow the historical precedent, or will they buck the trend and maintain momentum? It's uncertain, but with a solid labor market, rising household incomes, and a demographic tailwind from a large young adult population coming of age, U.S. housing markets could show modest growth this year even with higher mortgage rates." You can read all of Freddie Mac’s Insight reports by clicking here.